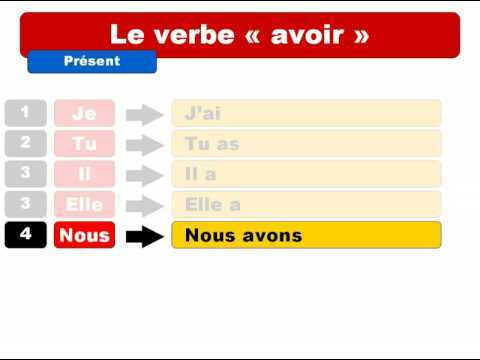 The verb avoir means to have. Note that the verb form changes depending on who is acting. - tu to address one person you know well, i.e. "informal" and "singular"
- vous to address one person in a professional context, or that you don't know well, i.e. "formal" and "singular"
Do you have a hamster? The sentence 'Vous avez des frères et sœurs ?' actually means " Do you have brothers and sisters ? " The verb 'avoir' is used here which means "to have". For the sentence 'Are you brothers and sisters?' , the French translation would be as "Êtes-vous frères et sœurs ? " So to differentiate between "avoir" and "suis" avoir should be used in the possesive context and suis should be used in the 'personal' context? I don't understand your question, Tom. Avoir means "to have". It is used in many different contexts in French, in particular as auxiliary verb in forming other tenses. In this respect it is similar to English. By "suis" do you mean the verb être ("to be")? It is similarly used to form tenses and is also an irregular verb whose conjugation is important to know well.